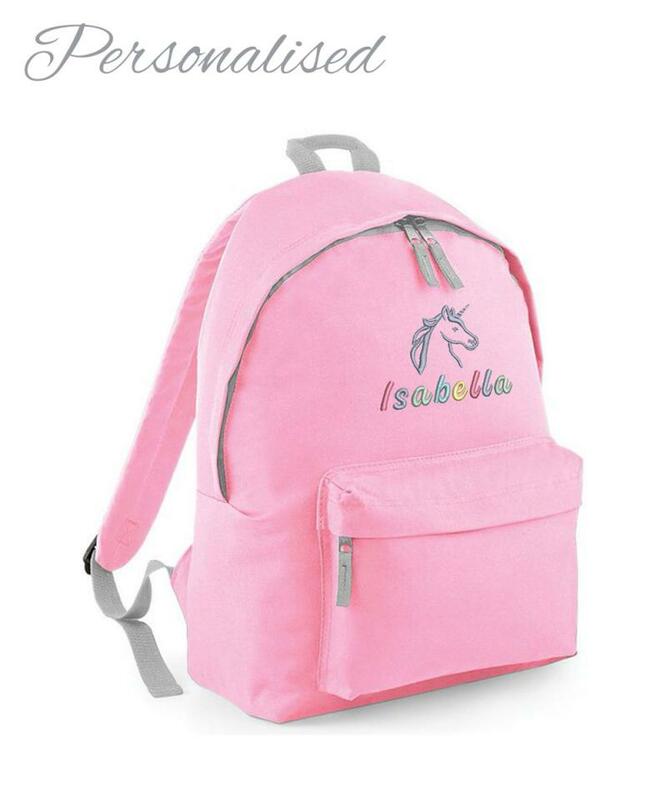 Personalised Rainbow Unicorn Girls Light Pink School Rucksack. A lovely gift for a Unicorn fan or Horse rider! (or Unicorn riders!) The bag is very durable and great for travelling.